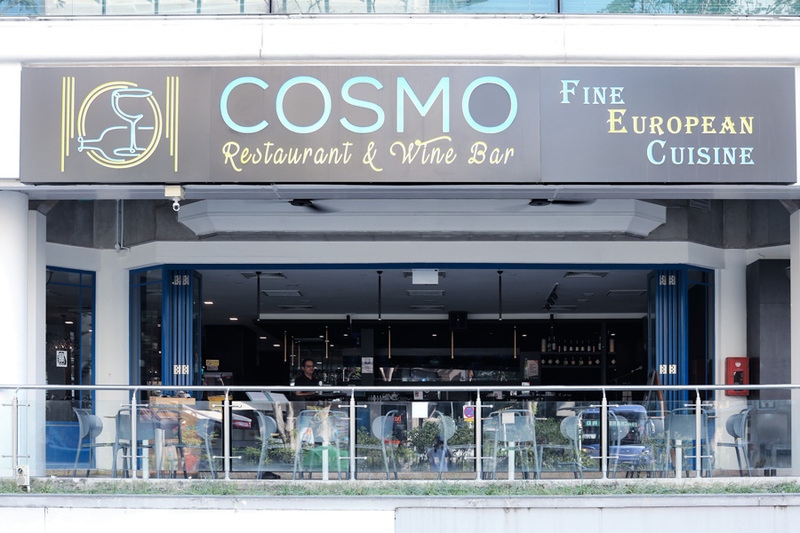 Located in Forum The Shopping Mall along Orchard Road, Cosmo Restaurant and Wine Bar is a relatively new dining venue that foodies say is a “hidden gem”. 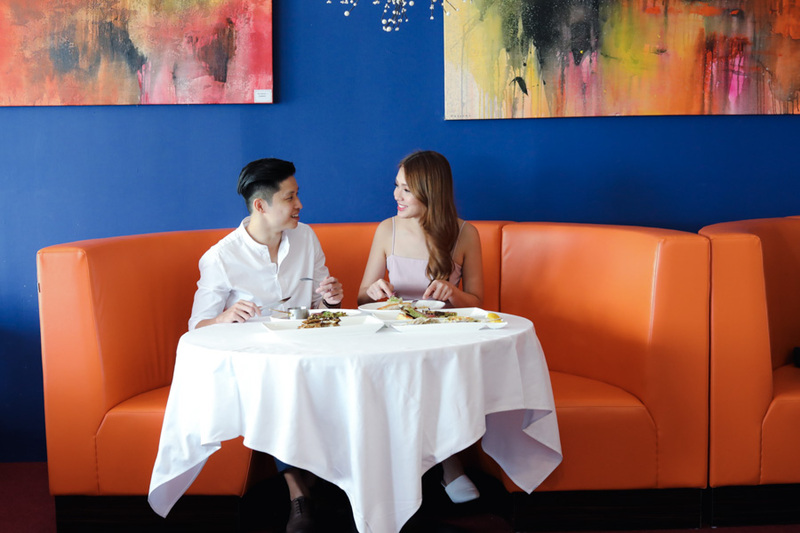 As for the food at Cosmo, it caters to the daily lunch crowd, the evening wine-and-dine goers, the tired/hungry shoppers, and now, even to brunch ‘practitioners’. 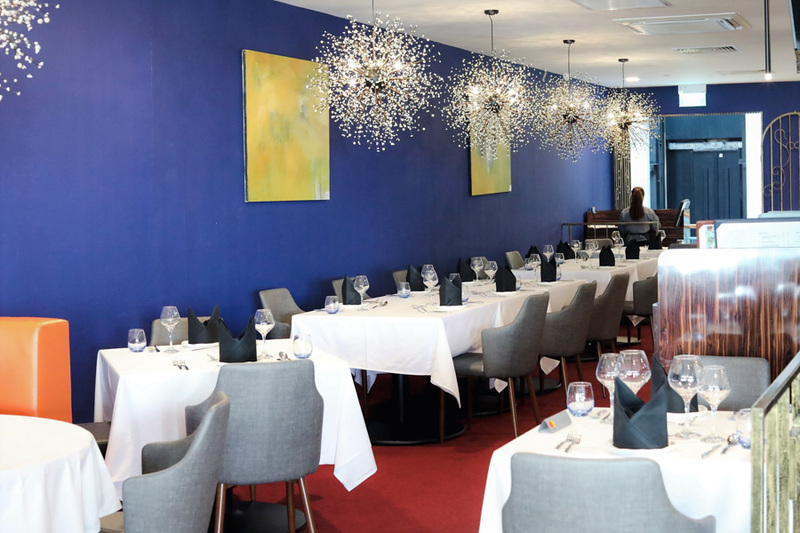 Helmed by Chef de Cuisine Michele Ow, whose signatures include Porcini Cappuccino and BBQ Pork Ribs, Cosmo Restaurant and Wine Bar has expanded its dinner menu, and has introduced new menus – All Day Breakfast and Brunch, and Local Delights. Read on and discover your next new favourite at Cosmo. 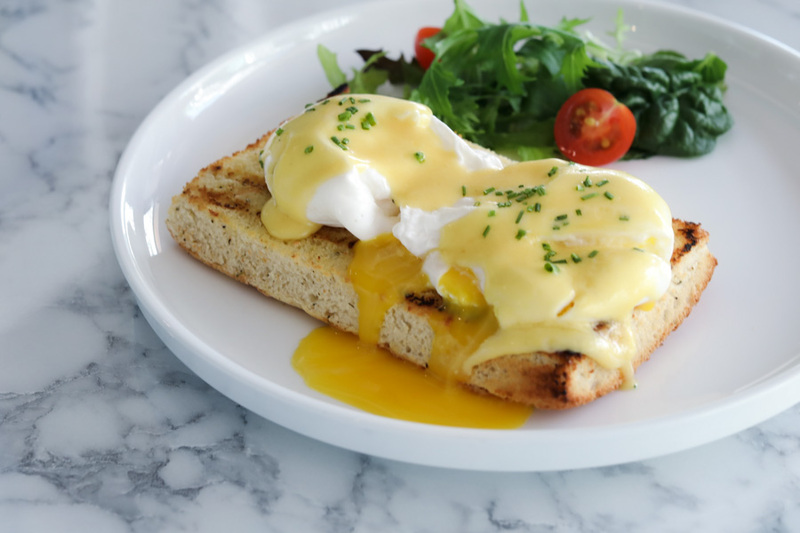 Start off your indulgent day with a decadent breakfast dish, Eggs Benedict. This traditional American breakfast or brunch fare is typically made with two halves of an English muffin, a poached egg, ham or bacon, and hollandaise sauce. Instead of a muffin, Cosmo’s version is served on a toasted focaccia, a rustic Italian flat bread similar to pizza dough. The hallmark of this dish is the poached egg cooked with precision to achieve that anticipated ooze once broken. 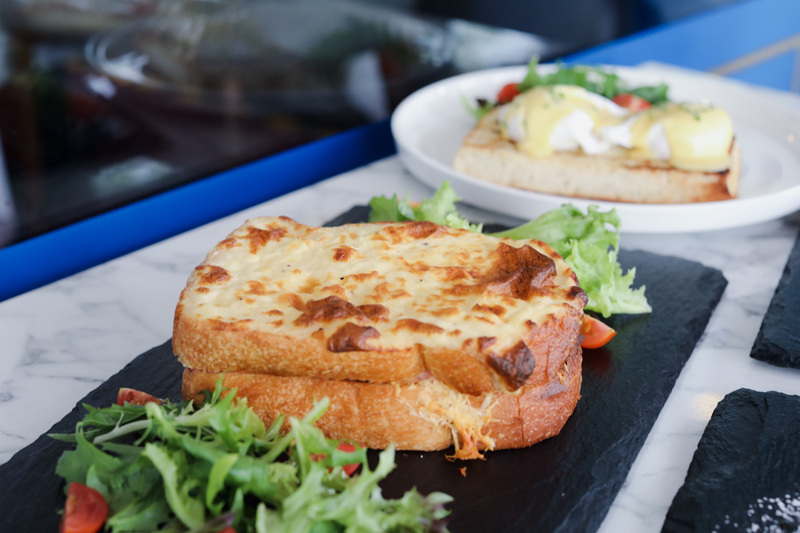 This brekkie essential comes with a serving of a side salad. 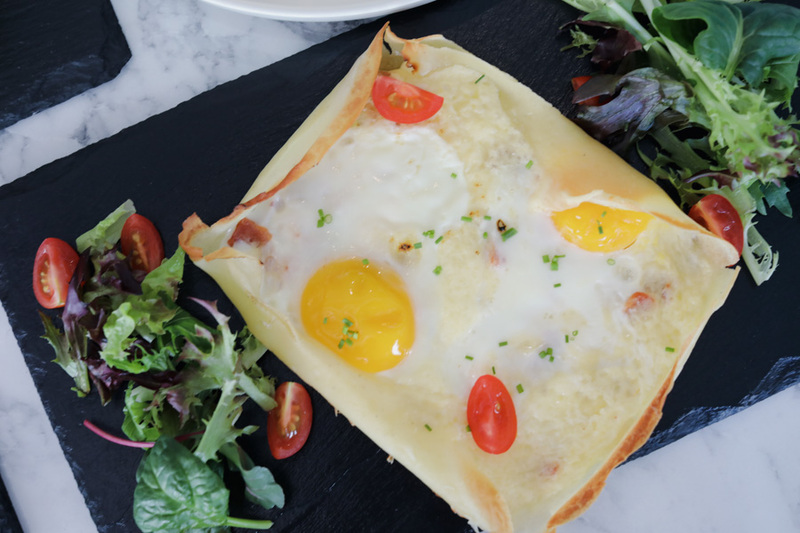 Go French with a savoury galette for brunch, using very thin pancakes made with wheat flour, milk and eggs. These crepes are served with sliced smoked ham, a cured pork leg meat with a deep, smoky aroma. And for the ultimate mark of breakfast, a sunny side up. Enjoy this dish as a complete filling breakfast item, best with coffee and orange juice, or add to your sandwich for a heavier brunch if your hunger ensues. 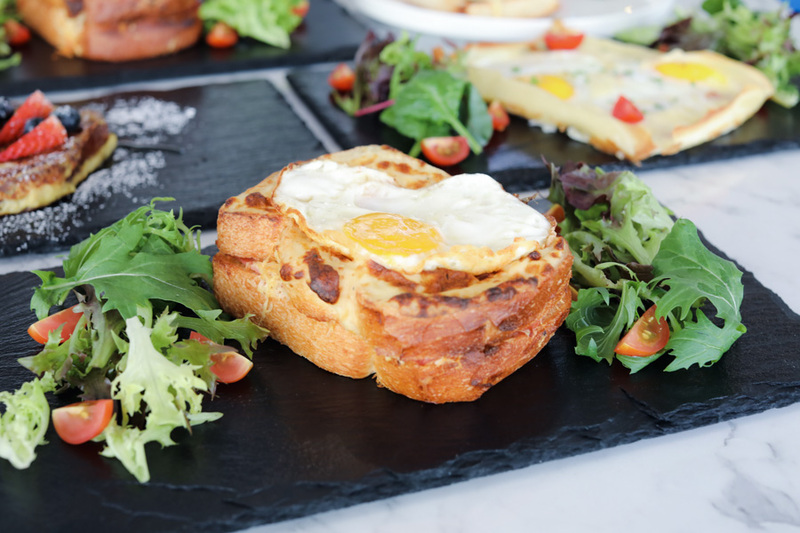 Brioche, a type of bread with high egg and butter content, is perfect for French Toast for its rich, silky, tender crumb and paper-thin crust. 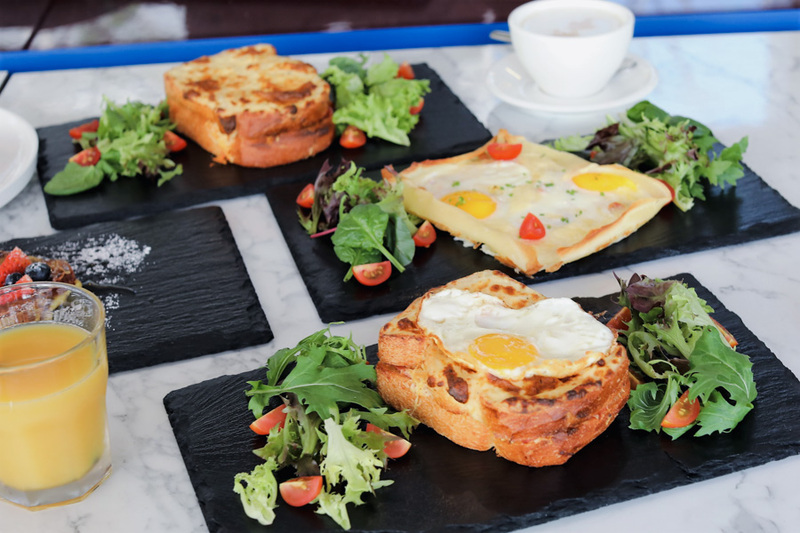 Dipped in a batter consisting of beaten eggs, cream, and sugar, the sliced brioche is heated in a skillet over medium heat to achieve a beautiful brown toast. 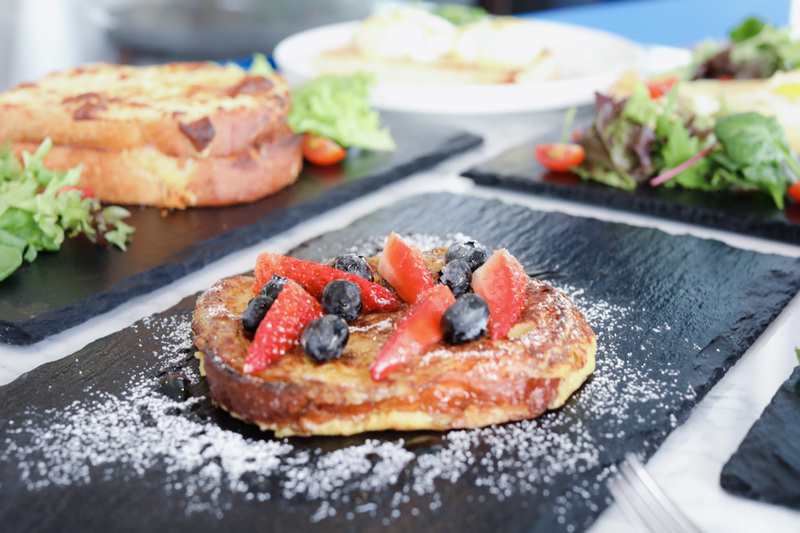 To complement the toasts’ sweet taste, this dish comes with some fresh sweet-tart berries. 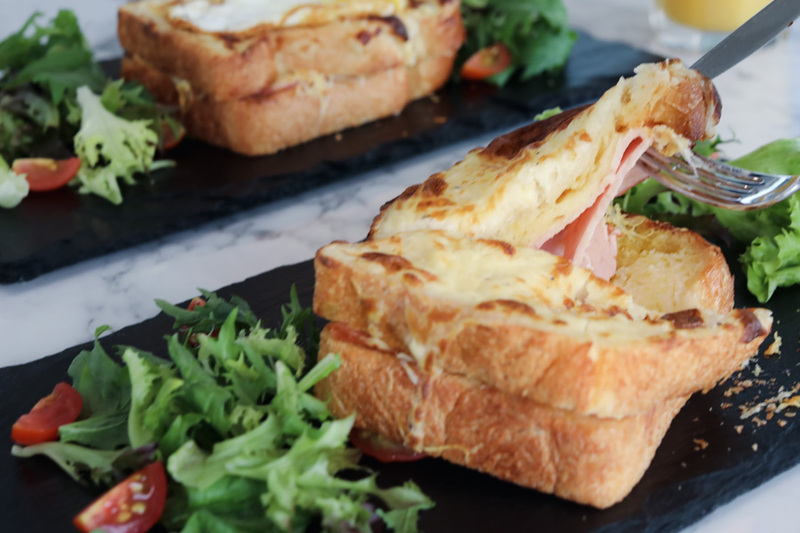 Another classic French item in the brunch menu is Croque Monsieur (literally, “mister crunch”), a ham sandwich topped with cheese and béchamel sauce, then baked in an oven ‘til the cheese melts and forms a crunchy crust. 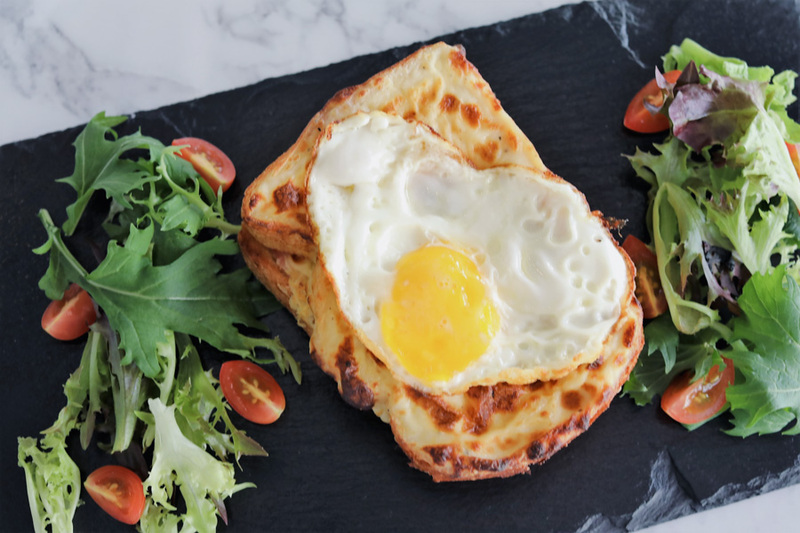 Turn your sandwich into Croque Madame (“missus crunch”), the same Croque Monsieur but with a poached egg on top to add a silky texture to the bite. 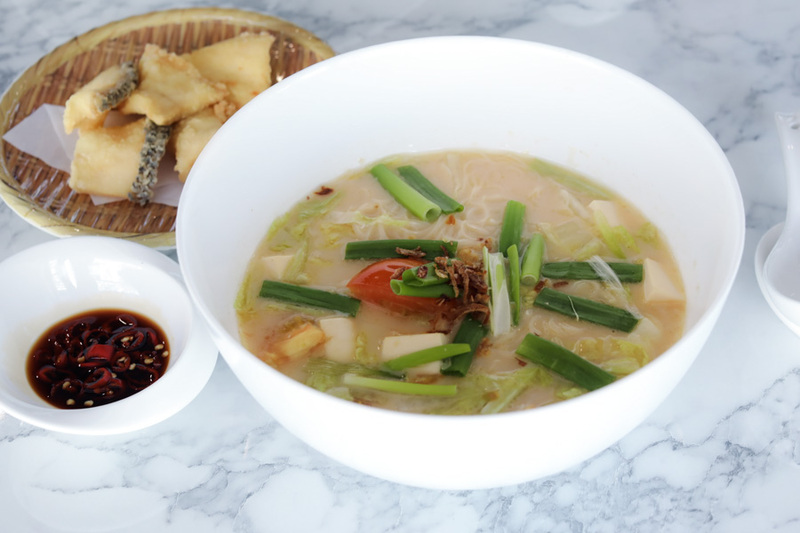 So as a tribute to local flavours, this Fish Noodle finds its way to Cosmo’s menu. 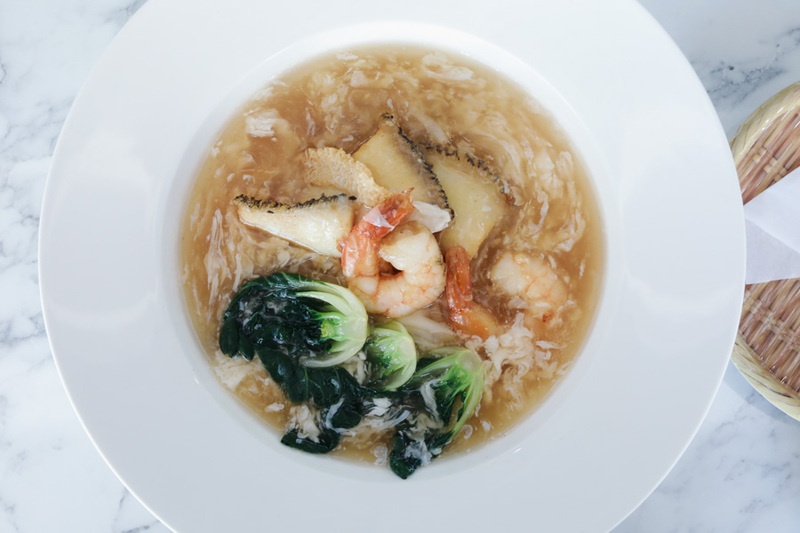 It uses bee hoon noodles in a rich fish broth, served with cuts of soft tofu and quartered tomatoes. 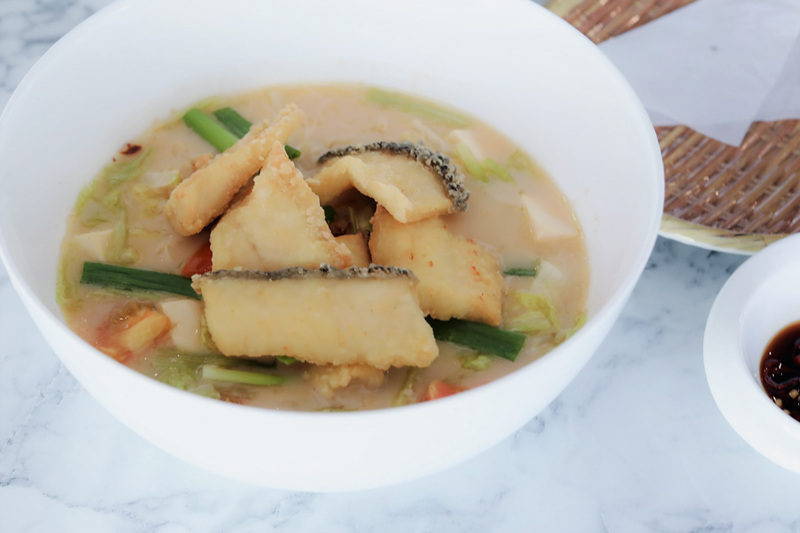 Featuring deep-fried snakehead fish – dubbed as “Frankenfish” for its long sharp teeth, and aggressive and reptile-like behaviour, this is a mild tasting fish with a dense, meaty, white flesh. What I also liked was the that fried dish is served separately, so that the pieces remain crisp which you can choose to dip in the variety of condiments, or submerge into the flavourful soup. 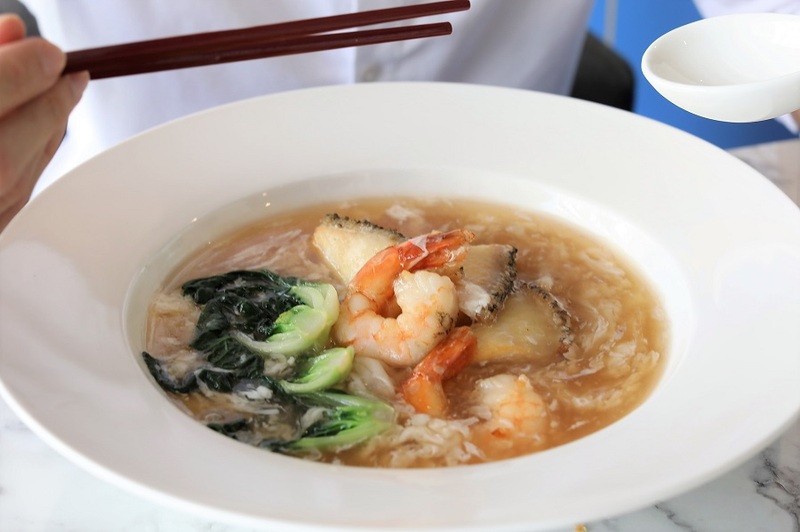 This local dish highlights hor fun, the thin strip Chinese rice noodle stir-fried with fish, prawns, and a rich gravy. Add the intense heat from the wok and you get a dish with a hint of that complex charred aroma aka wok hei. 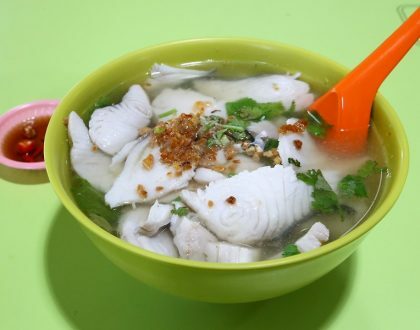 Because of how hor fun is made, this type of noodle has some porous areas which absorb the gravy and all the seafood flavours. Made with large Hokkaido oysters – notable for their depth of flavour and plump, juicy flesh, the Oyster Monay is a hot appetiser baked in béchamel sauce, one of the 5 mother sauces of French cuisine. 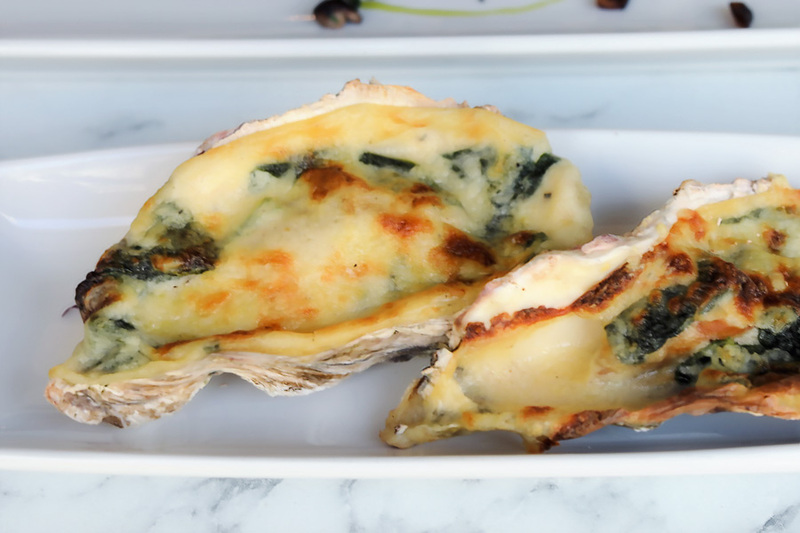 These plump and juicy Japanese oysters are made creamy and velvety with the addition of béchamel, making this dish a deliciously smooth transition to your entrée. Other hot appetisers in the menu include Escargot with Herb Butter ($16), Foie Gras ($20), Beignets de crabe ($20) and Seared Hokkaido Scallop ($28). Moving on to the mains, highlights include Chef Signature BBQ Pork Ribs ($28), Confit de Canard – French duck leg slow-cooked in duck fat ($32), Black Angus Grain Fed Rib Eye ($38), and King Prawns ($24). 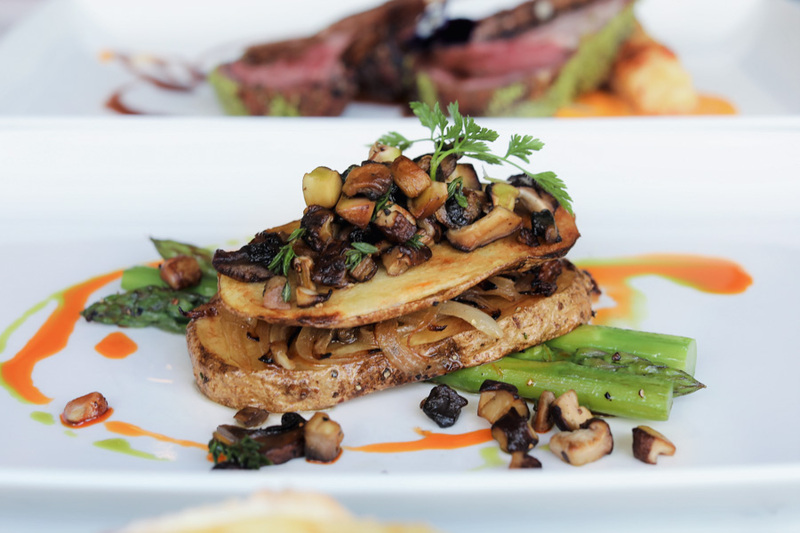 Savour the appealing combination of flavour and textures of this main, featuring Southwestern France specialty magret de canard (duck breast), specifically the breast of a Mulard or Muscovy (a.k.a. Barbary) duck. 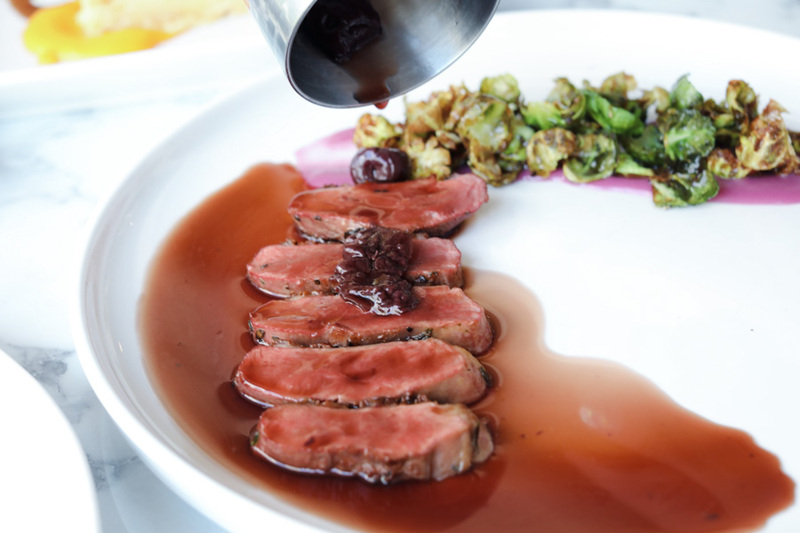 Oven-roasted, the thick fat between duck breast and skin is rendered out without overcooking the meat. The lean and dark-coloured duck meat achieves a deep flavour contrasting the crisp, golden skin carrying a rich flavour. Served with deep-friend Brussel sprouts and a red wine berry sauce. Crusted with a blended mixture of salt, black pepper, bread crumbs, finely chopped herbs (mint, parsley, rosemary), and olive oil, the ribs are seasoned and oven roasted until tender. Served with carrot puree and gratin Dauphinoise, a south-eastern French dish of sliced potatoes baked in cream. This next main dish will appeal to vegans, vegetarians, and everyone else who wants to skip meat but not skimp on flavours. 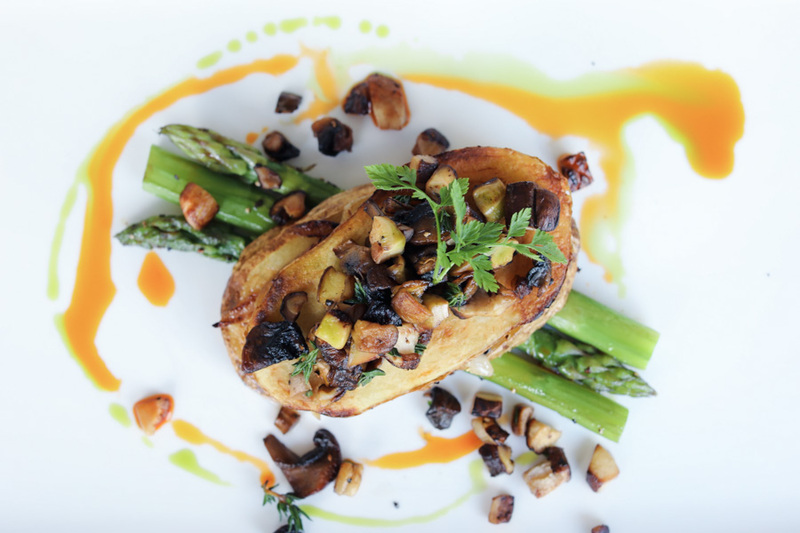 Featuring fresh trimmed asparagus, seasoned and roasted, with bright and clean flavours with earthy undertones. 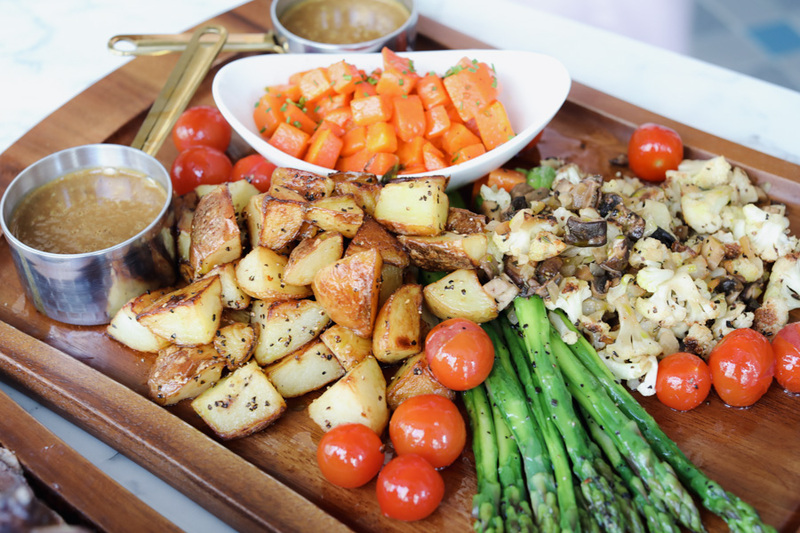 These veggie spears are accompanied with sautéed Idaho potatoes and onions to serve as starch. Finally, pieces of Swiss brown mushrooms are thrown in to add a bold, robust flavour to the dish. A melange of flavours sans meat. 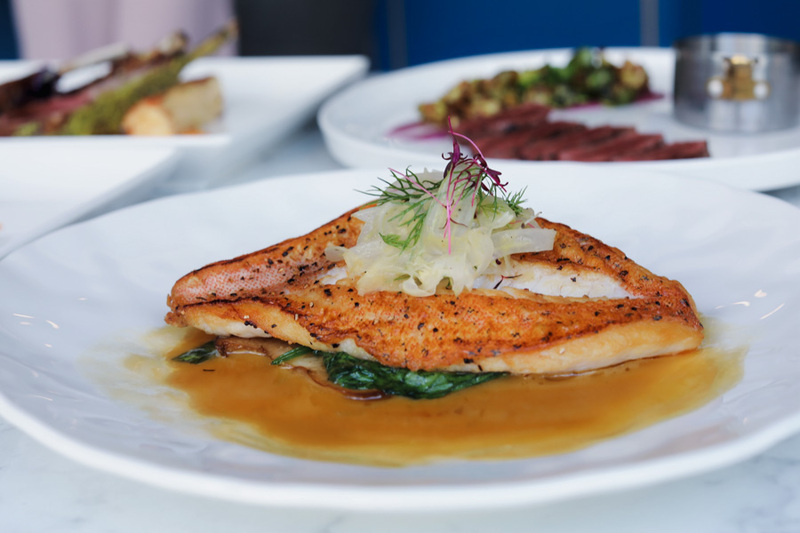 If you prefer fish for your main, try the Coral Trout, a colourful reef fish sought after for its fine, white flakes with a delicate sweet flavour. It is often served whole to show off its impressive appearance. Pan-fried to a golden brown, this dish comes with grilled King Oyster mushrooms, wilted spinach leaves, and a fennel-infused broth. 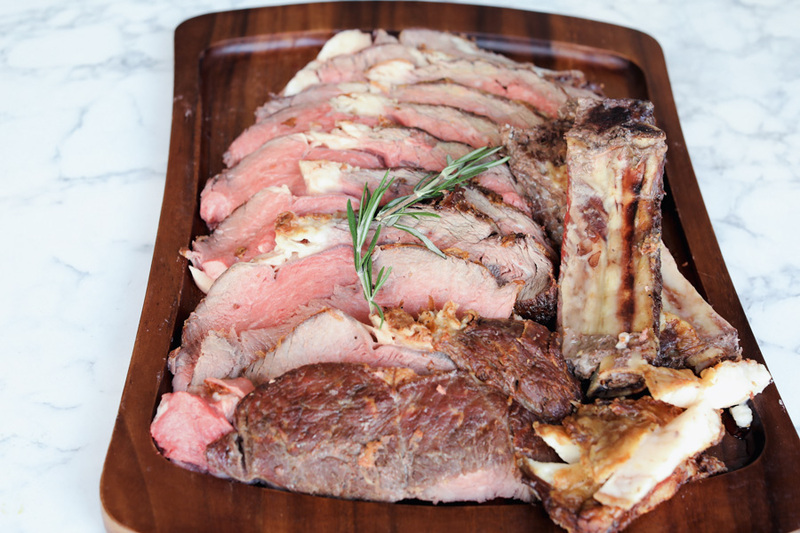 Steak lovers often obsess over a prime rib roast, also known as standing rib roast, because of both its tenderness and rich flavour. This item debuted during Christmas, became popular enough and a mainstay. Cut from the primal cow’s rib, it’s one of the prized meat-cuts out there, quite high in fat content –do reserve for a special meal. These ribs (come in 2-ribs and 3-ribs options) are slow roasted to maximize its tenderness and preserve its succulence. An order comes with sidings of potato gratin, asparagus and sautéed buttered greens. This premium main is available only with an advanced 24-hour order. Every good meal must come to an end, and Cosmo’s Chocolate Moelleaux is a fitting finish. The moelleaux au chocolat is a small, hot French-style chocolate pudding filled with liquid chocolate that floods your plate once the cake is broken into. 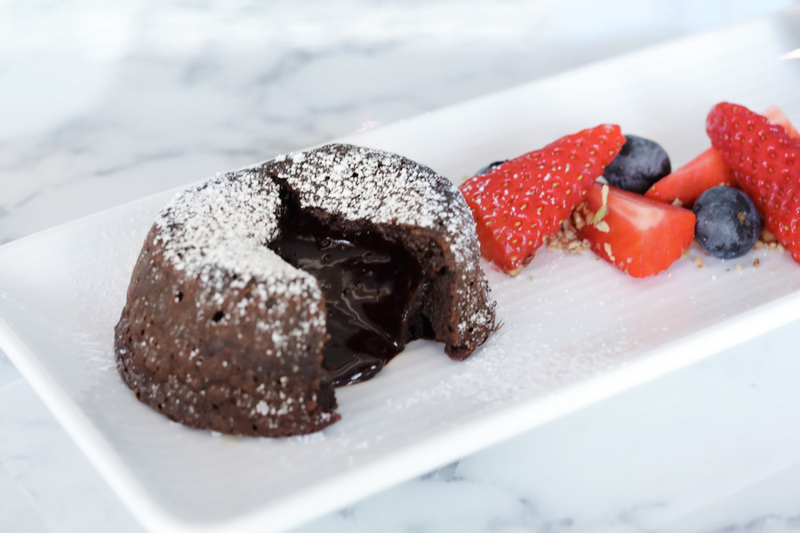 Soft like a soufflé, the luscious dessert (moelleaux is French for soft) is served a la mode with a mix of berry and vanilla ice cream. For a sweet ending, you can also choose the Crème Brûlée ($8) of vanilla flavoured custard base with caramelised top. 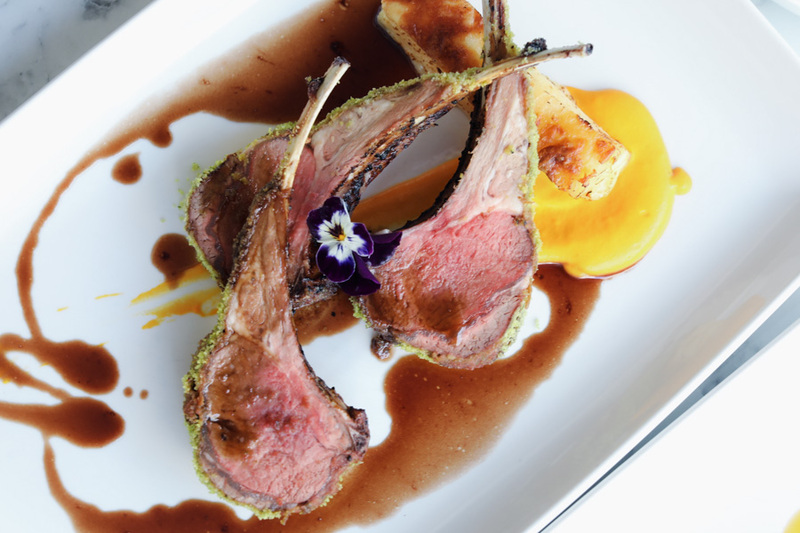 Receive 18% OFF the total bill, applicable to Cosmo Restaurant & Wine Bar’s A la Carte items and Set Menus. 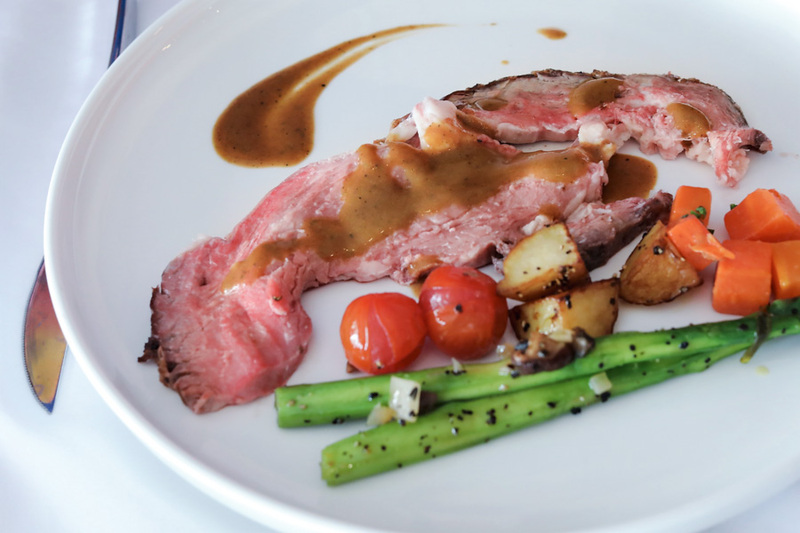 – Applicable only to A la Carte items and Set Menus. Not to be used in conjunction with other promo codes. 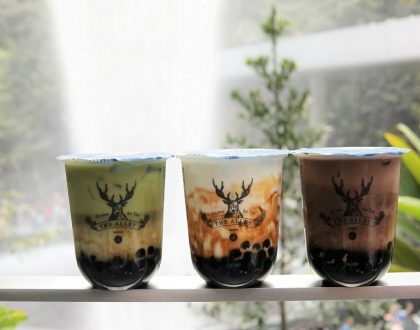 – Promotion valid from 3rd April 2019 (Wed) to 30th April (Tues). Offer excludes eve of PH, PH and special occasions. 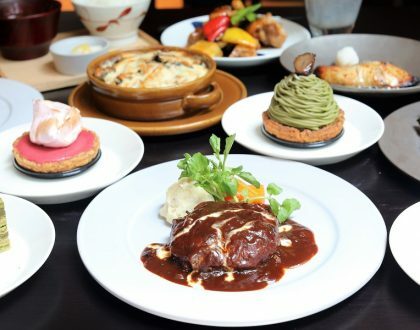 – Please quote “DanielFoodDiary” upon reservation to enjoy the promotion. – Not valid in conjunction with other promotions, discount cards, and promotional vouchers. * This entry is brought to you in partnership with Cosmo Restaurant & Wine Bar.